So when I saw this Space.NK event I HAD to get it. This was a promotion held on the 13th & 14th May. If you spent £150 you received this bag of goodies. Now that seems like a lot of money but I have a lot of friends birthdays coming up so it was quite easy to spend that! I really wanted to get this as I have wanted to try a few of these bits for a while. 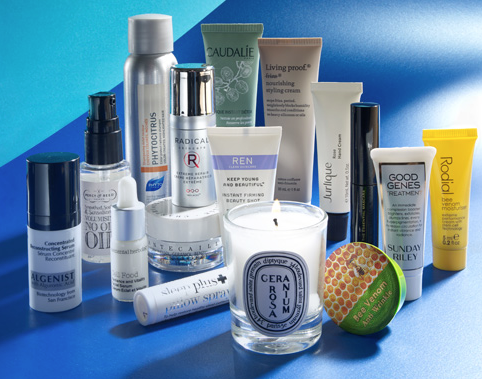 Especially the Diptyque candle, Sunday Riley good genes treatment and the This Works! pillow spray. Please keep your eyes peeled for some in depth reviews shortly! I think it is amazing how many products you get with this deal. Obviously they are miniatures but a lot of them are a really good size!